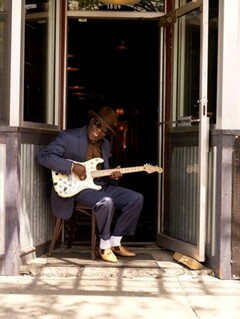 There may not be a guitar player alive that has influenced more elite artists like Buddy Guy. He has inspired artists such as Eric Clapton, Jimi Hendrix and Jeff Beck. And the list goes on and on … My earliest recollections of Buddy are from his LP’s in the late sixties. I can still visualize the album covers to this day… And I recall the upbeat atmosphere that was generated everytime I heard his music being played in our household. For over five decades Guy has been part of the blues landscape, and he is still going strong. At the age of 72 he has a new release called Skin Deep due out July 22, 2008. With all new material and guest guitar luminaries like Eric Clapton, Robert Randolph, Susan Tedeschi and Derek Trucks, this is looking like a strong album. Buddy was born in 1936 to a sharecropper’s family, and was one of five children raised on a plantation near the small town of Lettsworth, Louisiana. In these early years Guy remained tolerant of the all too familiar characteristics of “separate seating on public buses, whites-only drinking fountains, and restaurants where blacks—if served at all—were sent around back.” Several of the songs on Skin Deep like “Out in the Woods” and “The First Time I Met the Blues,” touches on those early years. 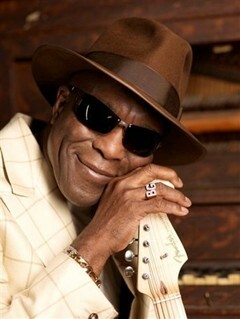 Buddy Guy is slated to receive the first annual Great Performer of Illinois Award and will be honored at a special tribute concert on July 20th in Millennium Park for his outstanding contributions to popular music and American culture. Currently, Guy is on a world-wide tour, with U.S. dates beginning on July 23rd in Silverton Oregon with George Thorogood & The Destroyers. Working on this post made me reminisce to moments in my life that to me were really cool. I just love reflecting back to the sixties … Between my brother’s blues band rehearsals in the basement and my own imaginative warm-ups, the blues were pouring out of our house. On occasion my father would be featured playing harmonica on one of the songs my brother was working on that afternoon. You could always gauge my father’s mood by his harmonica playing… And a lot of Buddy Guy’s music was part of that vibe I so fondly remember… Thanks Buddy! It’s great to hear this new material and get the opportunity to preview it. I can’t wait to see how well this album performs. So what do you think? … Have you listened to the any of the songs on the album? Do you have any favorite Buddy Guy LP’s? Any moments where Buddy played an influence on you? I hope you and your family have a great vacation, and thanks for a great post. 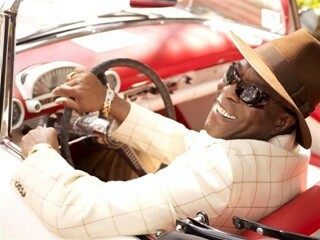 I love Buddy Guy, he is another one of those guys from Louisiana that I can totally relate to. Loved him in “Shine a Light” I wish he had played more with the Stones (who were amazing in that movie). Thanks for posting those tracks. I can’t wait to pick up that album! I wondered why Stevie Ray said he loved Buddy Guy..Now I know why. Thanks for the great post.